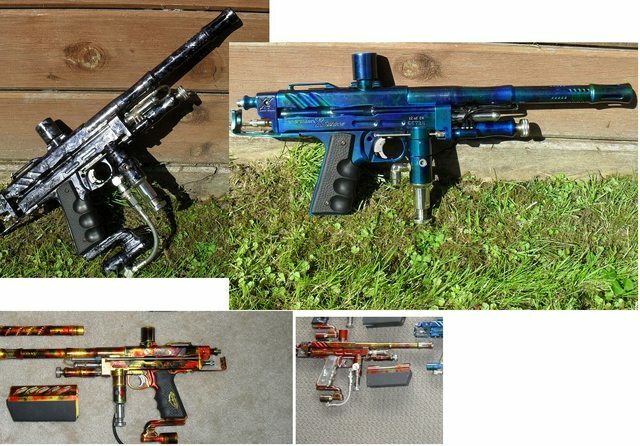 Splash+Custom Anno Parts Trading Thread! Post the parts you are looking for and have! 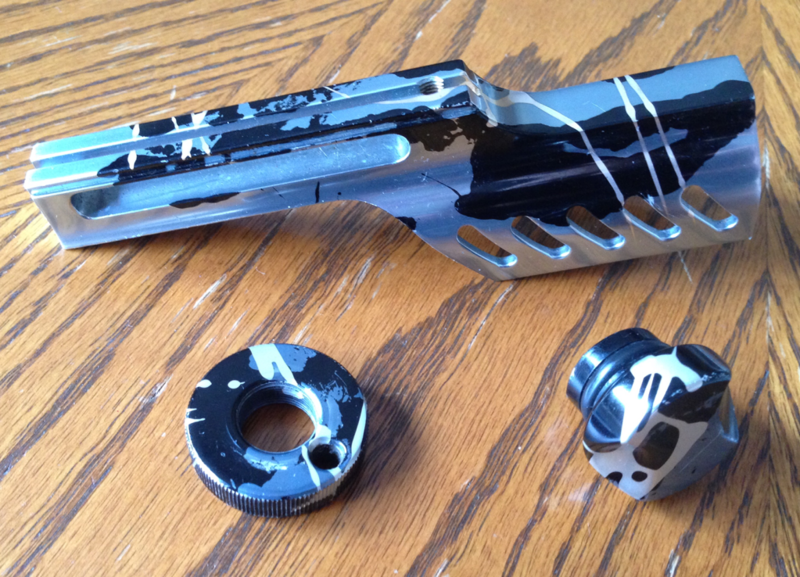 We've all seen (or owned) guns that are missing custom anodized parts to finish them off. Let's see if we can keep this thread going with the extra parts we have as well as the parts we are looking for. I have a Phantom adjustable T stock, RF body and stock barrel in tiger stripe orange. They are all from the same run and match. Unfortunately they don't match my gun and tank which are from a different run. 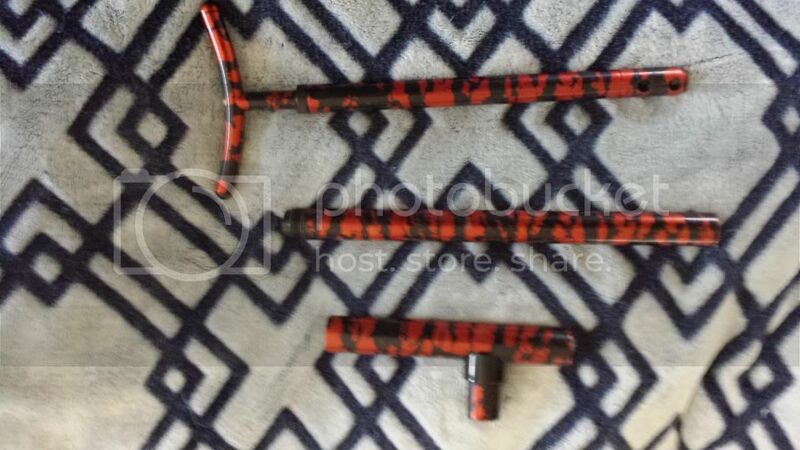 If you have an orange+black tiger stripe feed tube (10 or 15) ball please let me know. My gun isn't whole. Last edited by Tugboater203; 08-13-2014 at 08:13 PM. Looking for anything in these four patterns. Frames, bodies, freak fronts, barrels, pneus, drops, asa, duckbills, shrouds you name it, I am looking to make some whole again. I'd love to find the parts to finish my Minimag. I'll buy extra parts if needed to get the ones I want. 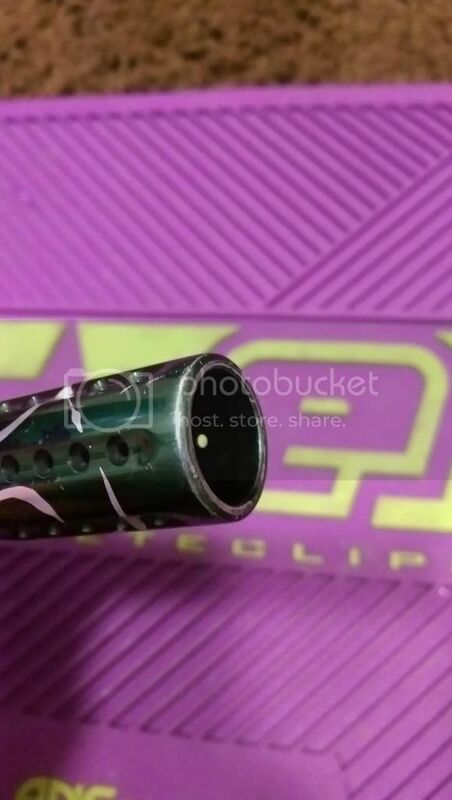 I am looking for the tournament lock, bottomline, gas through stock, and possibly even a vertical asa or even gas through grip. I believe I have an eclipse tourney lock that will match. I'll check and see if I can find it after work. Last edited by SPLATTER-ZONED; 08-15-2014 at 07:44 AM. What about a completely complete one? 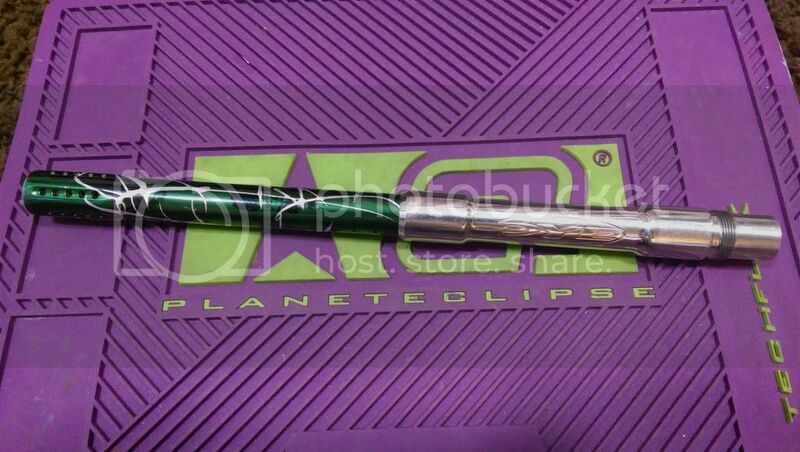 I have this 14 inch .688 Dye Boom stick in Eclipse Banzai Green splash. I'd be willing to sell it someone who needs it to complete their eclipse banzai green splash marker. WTB/Trade splash parts Automag / Micromag. Grey/Black/Gold: Triggerframe, Tank, Side car. Black/grey/Silver: Triggerframe. Stock, Side car. Blue/Black/Silver: Triggerframe, Barrel, Tank, Side car. Green/Black/Silver or Gold: All parts. Crazy Camo: Tank, Side car. Black/Blue/Silver (taso): powerfeedplug, Stock, Side car. Purple/Black/Gold: Foregrip, Stock, Side car, velocity tournament adjuster, sight rail, Tank. Have a splash evo barrel with cocker threading. Looking to sell. I am looking for a blue silver splash cocker of some kind. I'll even consider Green silver splash.